In case you’re wondering — like we were — what the heck ATIV is all about, it’s “Vita” (“Life” in Latin) spelt backward because Samsung is all about nature and life and stuff. But silly name aside, there was some pretty impressive hardware shown-off today. 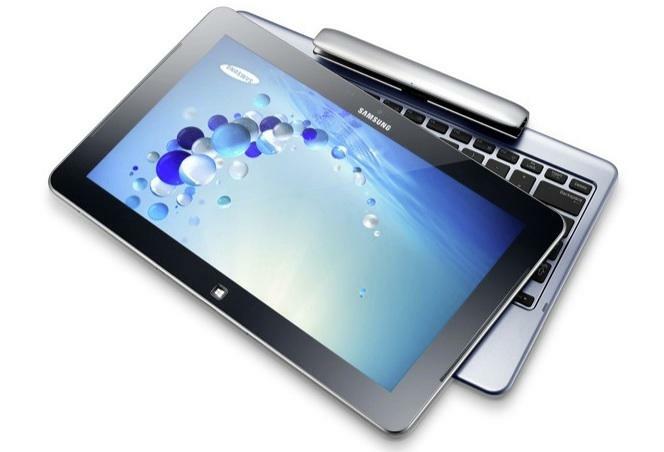 The hybrid offerings from Samsung feature a touchscreen tablet with a detachable keyboard accessory. It’s an interesting take on the genre, Samsung’s moving away from sliders (like Sony’s new Duo 11) and creating a fully-removable keyboard. As a result, the Smart PC and Smart PC Pro can be used in a very traditional laptop mode or as a tablet. Both versions of the SmartPC have a 10-finger multi-touch system, S Pen for drawing and writing, 11.6-inch display, micro-HDMI, miniSD, support for 3G and 4G, and two USB 2.0 ports on the keyboard. The Smart PC (non-Pro version) is 9.9mm thick and boasts a 1366 x 968-pixel display, not as nice as its sibling but still good. It’s running on an Intel Atom Clover trail processor, which allows it to pull off an amazing 13.5 hours of battery life, with 2GB of RAM and up to 128GB of flash storage. Camera-wise it has a front-facing 2-megapixel camera and an 8-megapixel camera with flash on the back. The Pro version of the Smart PC gives you a little more to work with in terms of performance. A Core i5 processor and 1080p display are both standard, as well as packing in 4GB of RAM and up to 256GB SSD. Prices have been set for October 26 at $650 for a base Smart PC, $750 for a keyboard bundle, and $1,120 for a Smart PC Pro. 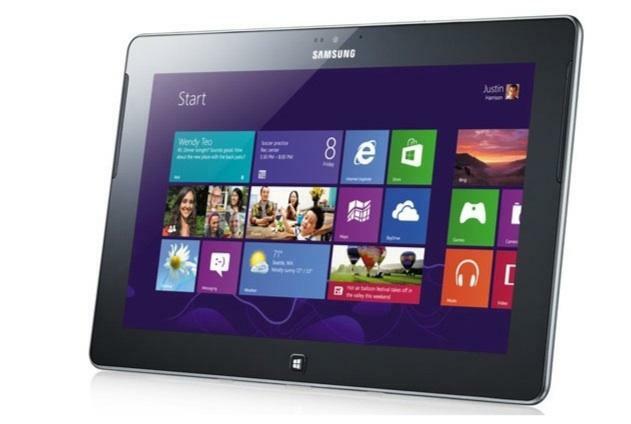 If hybrids aren’t your thing then you’ll be happy to know Samsung included a pure tablet experience in its ATIV Tab. 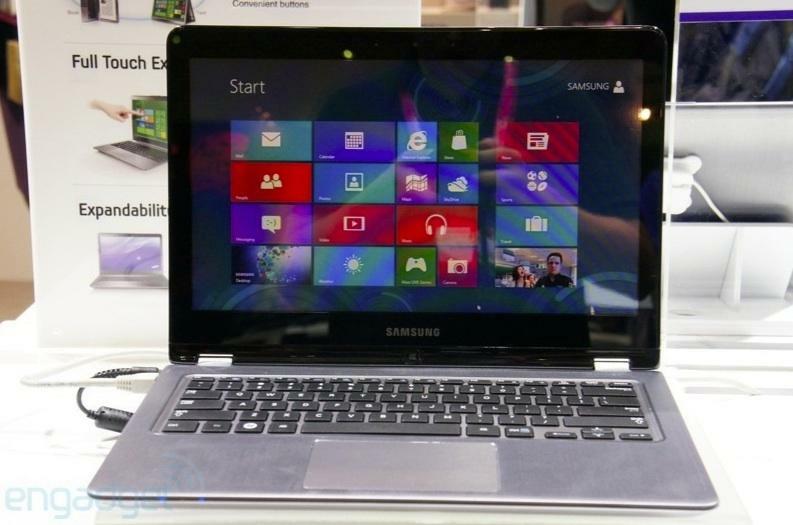 The new 10.1 inch slate resembles the Android-based Galaxy Note 10.1, but this time it has Windows RT under the hood. The display comes with a 1,366 x 768 display, 1.5GHz dual-core processor, and either 32GB or 64GB storage options. A 5-megapixel camera is built into the back with a 1.9-megapixel facing front. There are ports for micro-HDMI as well as a plain old (but still awesome) USB. The battery has been updated from the Galaxy Note 10.1, moving from the 7,000mAh pack to the 8,200mAh so users will definitely appreciate the bump up in battery life. It’s still light too, weighing in at a relatively small 20.1 ounces. No official word on a launch date, but judging from the rest of the products a safe bet would be October 26. Though it already made its debut at Computex back in June, the touchscreen version of Samsung’s Series 5 Ultra Touch Ultrabook is officially here. It’s basically identical in look to the original Series 5. The insides are roughly the same for the $800 and $900 models, both coming with a 13-inch (1,366 x 768) display, 500GB hard drive, 4GB of RAM, and 24GB of ExpressCache. 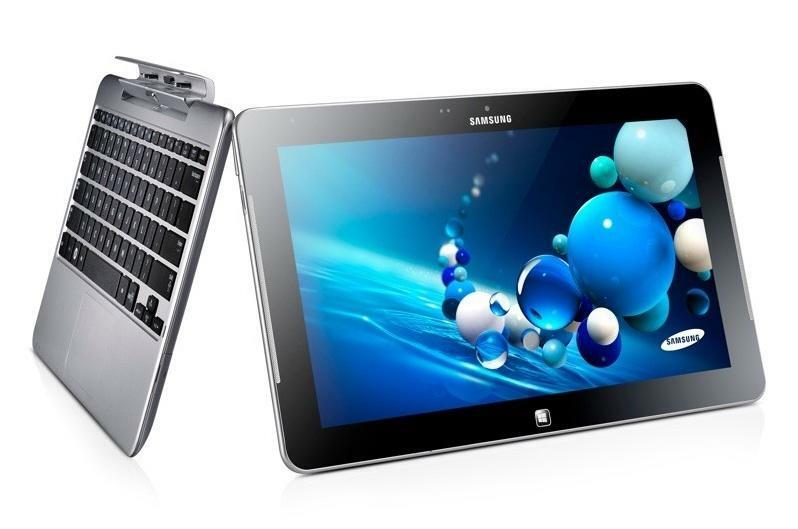 The main difference is the less expensive model ships with a Core i3 processor, while the higher-end model sports the i5. Oh and it’s now rocking a touchscreen display, if that wasn’t obvious from the name. But of course, it wouldn’t be a Samsung product without a few bundled apps. This time around they chose to include some applications to ease consumer’s transition to Windows 8. The S-Launcher is Samsung’s replacement for the newly-removed Start Menu. As well, eSettings is a hub for power management and display settings that can be hard to locate in Windows 8. Samsung’s various “Hubs” are also included for music, videos, social, and other media types. And the AllShare app uses DLNA to share data across different devices. Samsung gave a release date of October 26, the same day of Windows 8’s official launch and apparently the entire ATIV collection.